Crafted with care in the Harry & David bakery, our Triple Cheese and Caramelized Onion Quiche is made with a rich custard of real eggs, caramelized onions, chives, heavy cream, cheddar, whole milk mozzarella, and feta. Featuring a freshly made pie shell, this traditional style gourmet quiche arrives fully baked. 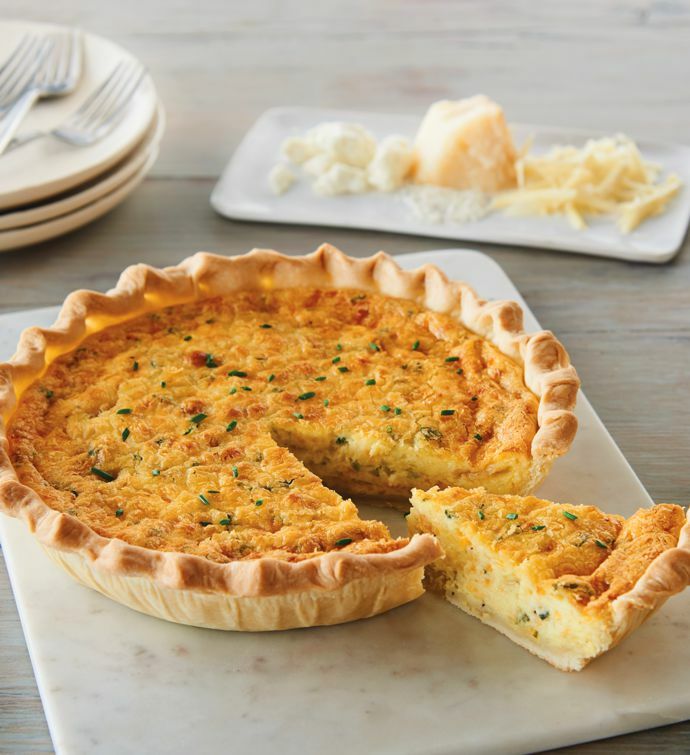 Order quiche online and enjoy the ease of a gourmet heat-and-serve quiche.